1. Heat a bowl over a pan of simmer water. 2. Add the butter and broken chocolate. 3. Stir from time to time till the chocolate melts fully. 4. Add the condensed milk and remove from heat. 5. Keep aside to cool. 6. Add the maida and chocolate buttons. Stir gently. 7. Keep the mixture in a fridge till it is firm but soft. 8. 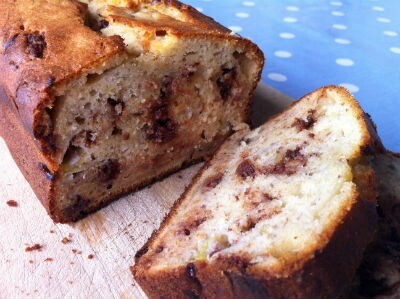 Using a large tablespoon, place the mixture on a greased baking tray, well spaced. 9. Place the baking tray in a preheated oven at 180C for about 15 minutes. 10. Remove carefully and cool. 11. The cookies should be soft while removing. 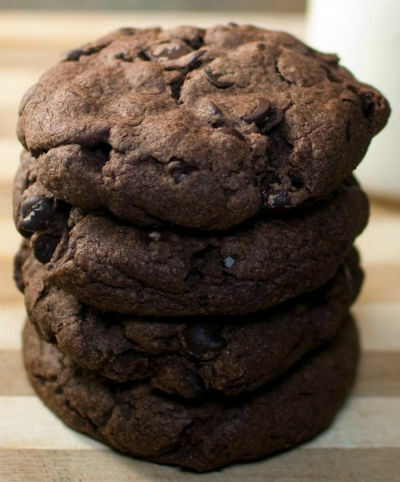 Feel free to comment or share your thoughts on this Double Chocolate Cookies Recipe from Awesome Cuisine.